This is one image you don’t see too often. “Gypsy chickens” are being evacuated in “paper burritos,” to prevent fighting between the birds as Hurricane Irma approaches Florida. 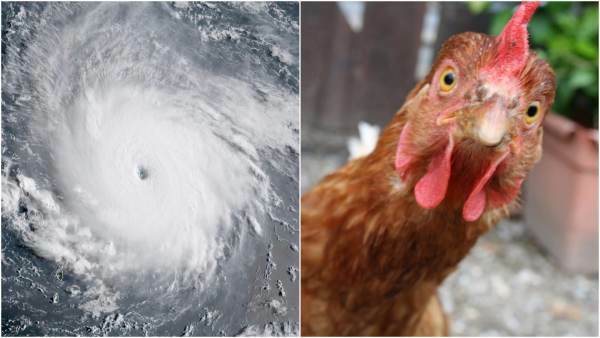 Residents of Key West, Florida, aren’t just taking steps to protect themselves from Hurricane Irma — they’re watching out for the town’s ‘gypsy chickens’ as well, a photo shows. That effort is documented in a now-viral Facebook photo, which appears to show about ten chickens wrapped up in newspapers. The ‘gypsy chickens’ of Key West are known to roam about the streets freely, according to Insider. Some commenters voiced concerns about the way the chickens were wrapped, wondering if there was a more humane way to transport them to safety. Aerial footage released by the Dutch Ministry of Defense shows some of the devastation caused by Hurricane Irma in Sint Maarten, which encompasses the southern part of the island of Saint Martin and is part of the Kingdom of the Netherlands. 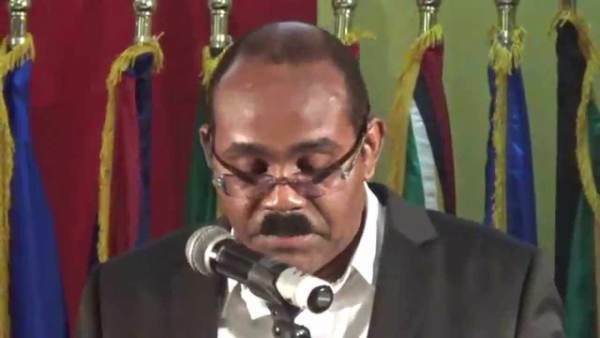 “Barbuda is literally rubble,” Prime Minister Gaston Browne of Antigua and Barbuda told an interviewer with ABS TV/Radio Antigua.